That there is a new box of pellets. We've been subsiding on hay all day, and we were starved. Starved, I tell you! 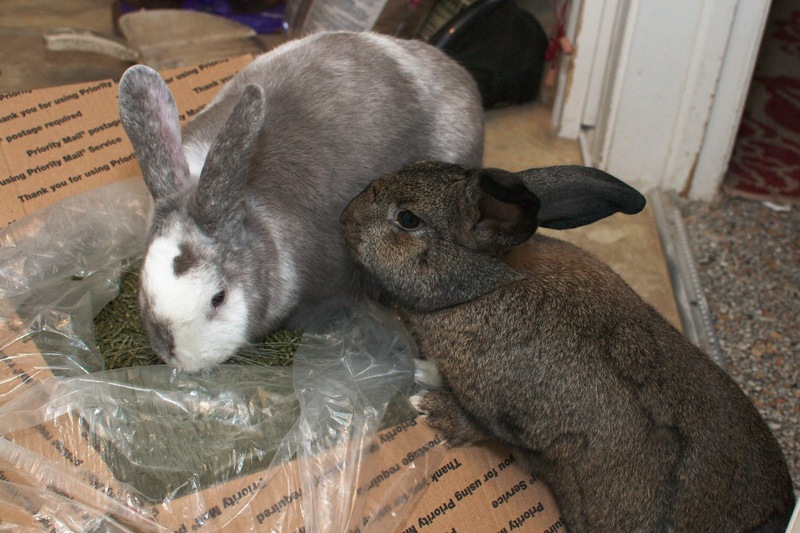 Hoomins decided we would be getting a lot fewer pellets and a lot more hay and veg. 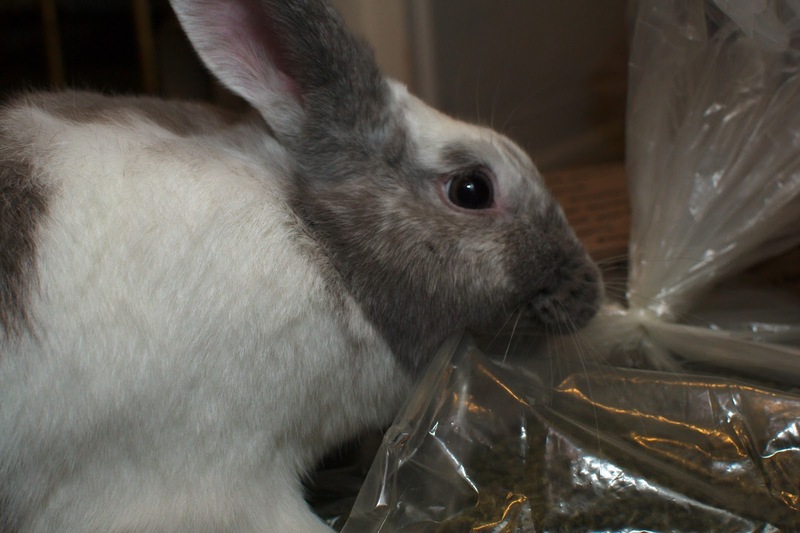 Well, pellets are like treats these days. 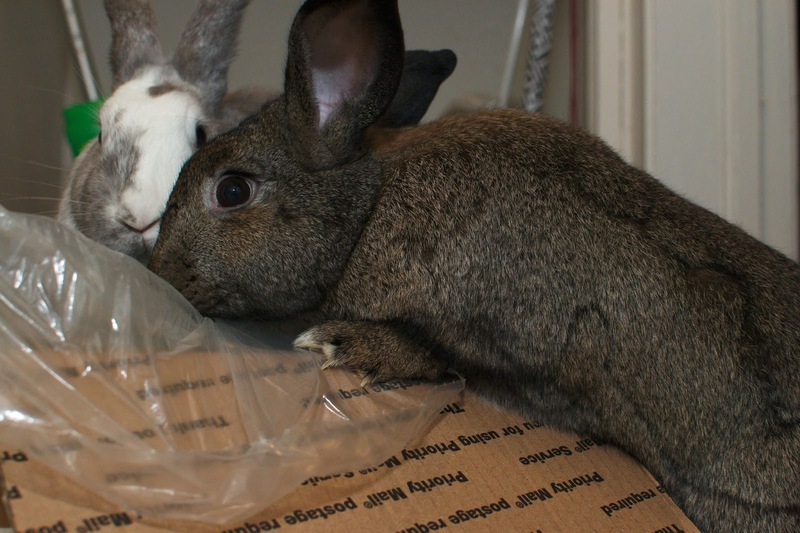 Of course, somebun had to inspect the new shipment. So we took a sample right then and there. I'm trying to steer clear of processed foods too, bunnies, but sometimes you just want something a little less healthy!